Yennai Arinthal, by now the reviews are out and it appears to be a hit already. Having watched the movie on the second day here are my views, for reviews you can search online. 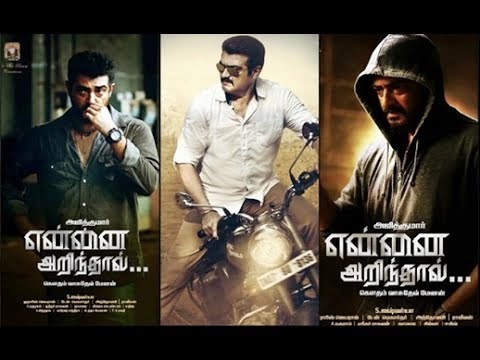 The bottom line: Go if you are an Ajith fan, you will not be disappointed, go if you like the Gautham Vasudev Menon style of movie making, you will not be disappointed, if you are neither and you are looking for a great cop movie you may be a little disappointed.